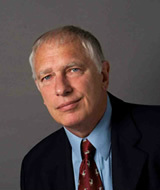 Doug Casey is a highly respected author, publisher and professional investor who graduated from Georgetown University in 1968. Doug literally wrote the book on profiting from periods of economic turmoil: his book Crisis Investing spent multiple weeks as #1 on the New York Times bestseller list and became the best-selling financial book of 1980 with 438,640 copies sold. He has been a featured guest on hundreds of radio and TV shows, including David Letterman, Merv Griffin, Charlie Rose, Phil Donahue, Regis Philbin, Maury Povich, NBC News and CNN; and has been the topic of numerous features in periodicals such as Time, Forbes, People, and theWashington Post.